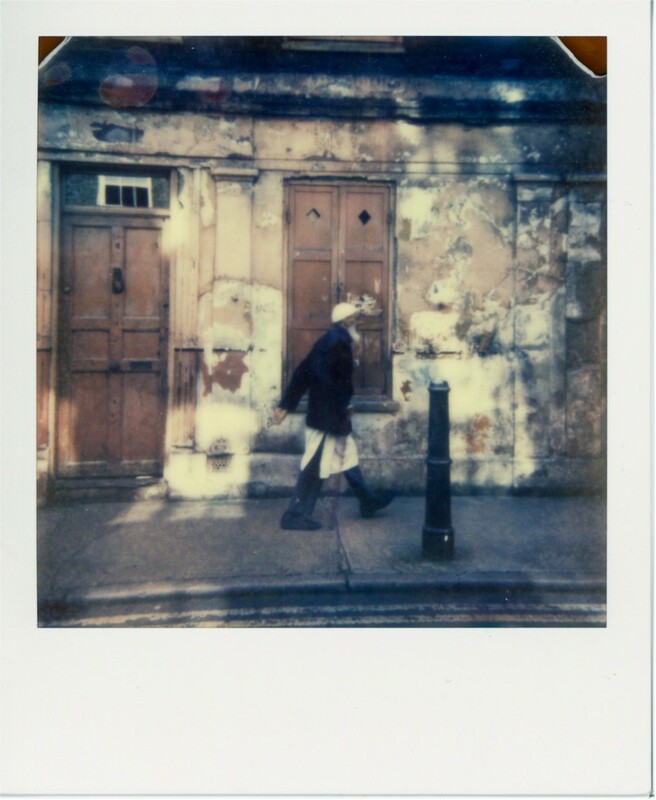 My oldest and dearest friend, Tamsin, who came to Aldeburgh and witnessed me falling head over heels in love with Polaroid, found a workshop hosted by the Impossible Project, and suggested that I sign up for it. At first I said no. How could I go, when I had children to ferry to their dance classes and my husband was away recording with his band for the BBC? Life was too busy. And the prospect of doing a workshop with people I didn’t know was a bit daunting. But then I thought about it a little, and climbed out of my comfort zone. Why not do a workshop? I could even ask a few friends along to make it less scary and more exciting. A friend agreed to look after the children for the day. And so the fun began! The morning of the workshop came and it was glorious weather! As I dropped off the kids, I kept looking at the blue sky not believing my eyes. The workshop was held in Brick Lane, a cool part of London I had been meaning to visit. I met my friends Xanthe and Debby and the workshop began. Our tutor, Cyrus Mahboubian , gave us a brief history of Polaroids. He explained Edwin Land’s obsession with making the camera as beautiful an object as possible (he was an inspiration to Steve Jobs), and showed us some classic Polaroid images to inspire us. 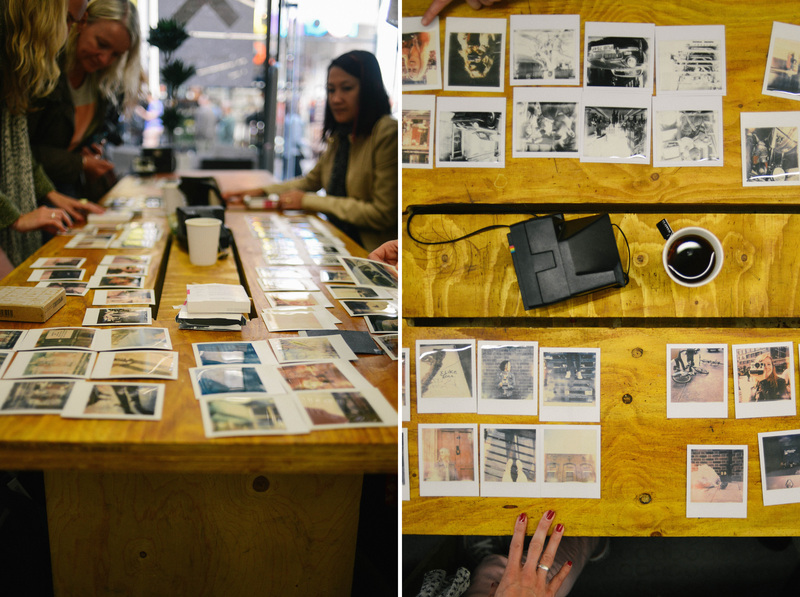 Then we were handed a pack of Impossible Project film and it was over to us! 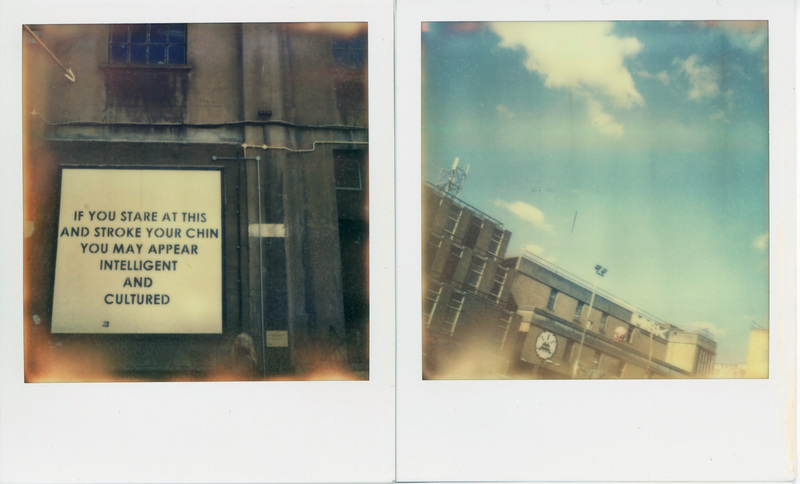 Normally I plan my Polaroid shots very carefully. A frame a day, or maybe two or three when I’m on holiday. This time I had a whole pack to get through in a few hours. One of the things I like about film photography is that it forces you to think about each image very carefully, but this time we just had to get on with it! It was thrilling to be a bit more reckless than usual. We had fun as we leapt around and posed for each other. I even had a go at street photography. Yes, with a Polaroid. And I loved it! I came back with a handful of images. I don’t like all of them, but I liked being forced to try new things. I had fun. I saw my friends. I met new people. The magic of Polaroid brought us together! You may not be able to attend an Impossible Project workshop where you live, but there is nothing to stop you organising a photo walk with some like-minded people. Or you could try spending an afternoon with your family and your camera — and setting yourself the goal of shooting an entire roll. Xanthe and I thought it would be fun for us to publish our accounts of this workshop on the same day. Read her post over at Shutter Sisters! Love these, especially the one with the funny sign! LOVE this. As you know! Impossible Project and Polaroid are my favorite ways of shooting these day. WOOT! These are great! And that sign is hilarious! Wonderful! I have been wanting to make it into NYC for one of the TIP walks there. You may have pushed me over the edge. Now, who wants to join me? Yay! 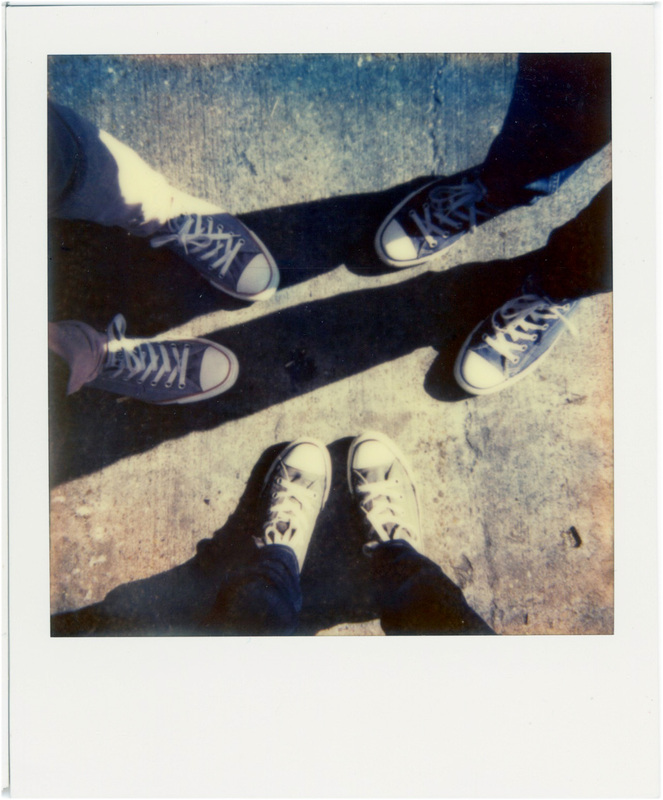 Loving that you and Xanthe are full-on Polaroid feinds now! I also love how a course like this or mine the other week gets us to focus on really shooting this film, rather than thinking of it as a precious commodity to be saved for something special. These are all special moments and nothing can record them like a Polaroid (at least in my opinion). Kirstin, this looks like such a fun venture! Wonderful images, too. I just tried out my new – to me – Spectra…. it’s feeling like it may become a new addiction. Yeah! Thanks for sharing your experience at this course. Looks like there is another one in Nov I might be able to make. Great shots! i love these so very much, but even more that you had this experience and that you were spurred on to it & shared it with dear friends. and all of the polas are wonderful. love this Kirstin. how can one not? You are always so inspiring Kirstin- I love your enthusiasm! Gorgeous shots. There’s nothing quite like the magic of Polaroid.